The city of San Jose is encouraging neighborhood organizations looking to beautify the city to apply for a #BeautifySJ grant. The grants are intended to go to groups that want to reduce trash, graffiti and sources of "blight" in their neighborhood. The groups must have goals of organizing neighborhood beautification projects that build or strengthen their locale. The city says the grants of up to $5,000 will be awarded to neighborhood associations, property owner associations or tenant associations that operate free of charge with a record of resident volunteer participation. "Through our #BeautifySJ initiative, we seek to unleash the collective energy and passion of our community to create a cleaner, safer and more vibrant city," San Jose Mayor Sam Liccardo said in a statement. "These grants will empower neighbors to get to know each other, build relationships and work together to improve their neighborhoods." 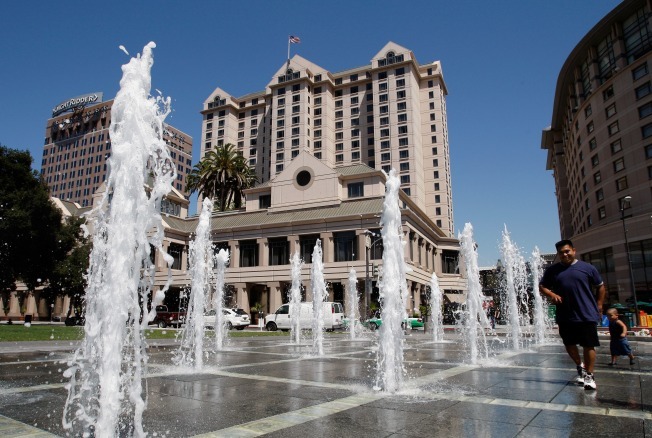 The groups need to be based in the city of San Jose. They will need to have a bank account in the name of the association, provide a list of board members with home addresses and provide a copy of the bylaws or minutes of their last meeting. Organizations that apply for the grant must provide matching funds or volunteer time equivalent to 50 percent of the amount awarded to receive it. A pre-proposal workshop will be held at the Hank Lopez Community Center at 1694 Adrian Way in San Jose on Aug. 24 from 6-7 p.m. Questions there will be answered at grants.sanjoseca.gov by Aug. 31. Any other questions must be emailed to Alex Niles at alex.niles@sanjoseca.gov by Sept. 1. Completed proposals for a grant must be submitted online by Sept. 21 via WebGrants at grants.sanjoseca.gov. Applications that are emailed, faxed, incomplete or late won't be accepted. Organizations that are awarded grants will be sent emails on Oct. 13.